It’s been increasingly difficult to argue against any notion of corruption or a wider agenda against Leeds United from both the EFL and FA. Ignoring the more subjective view that we only ever seem to get appalling referees (and that the balance of decisions go against us), there are so many more compelling examples of more obvious intent to punish us when other clubs are otherwise unmolested. Pontus Jansson dares to suggest in a post-match interview that the officials impacted the result (saying we were “robbed”) and he gets a suspension. Charlie Austin does the same thing in a more angry and animated way and escapes without any further action. Tyrone Mings deliberately stamps on two players and is largely ignored, Liam Cooper does the same to Reese Oxford and received a six game ban. Clubs can admit to nefarious transfer dealings, paying bungs to agents or outright having owners who should fail the ‘fit and proper’ tests, yet Leeds have a single scout standing on a public footpath observing Derby County train – and there’s an investigation. Bear in mind that the FA didn’t even officially investigate the independently vetted sexism case from Lucy Ward. That’s a legitimate court case with a guilty ruling – and they did nothing. However the “Spygate” faux-outrage resulted in a full investigation. It’s utter nonsense that does suggest an overt bias against Leeds United. But this isn’t about corruption or what that means – it’s all about us. If Leeds United fail to gain promotion this season it’ll have been our fault. The Norwich game is still fresh in my mind, sat in the West Stand with frozen feet and a single dissenting voice somewhere behind me repeatedly shouting “you’re **** Leeds”. This was a huge game and one where we could have firmly staked our claim as the league’s dominant side and rightful promotion contenders. Instead, like many times before when faced with “now or never” moments, we wilted. 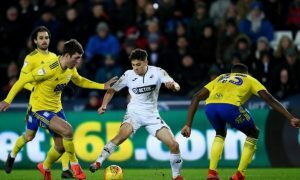 Andrea Radrizzani would talk about the 17 cup finals that followed Leeds’ failure to secure Daniel James on deadline day and while his siege mentality is well placed, those of us who have seen Leeds play a cup final winced. We winced because when it comes to big games it’s rare that Leeds turn up. We can beat absolutely anyone in this league, but we can be beaten by absolutely anyone the second it becomes important. 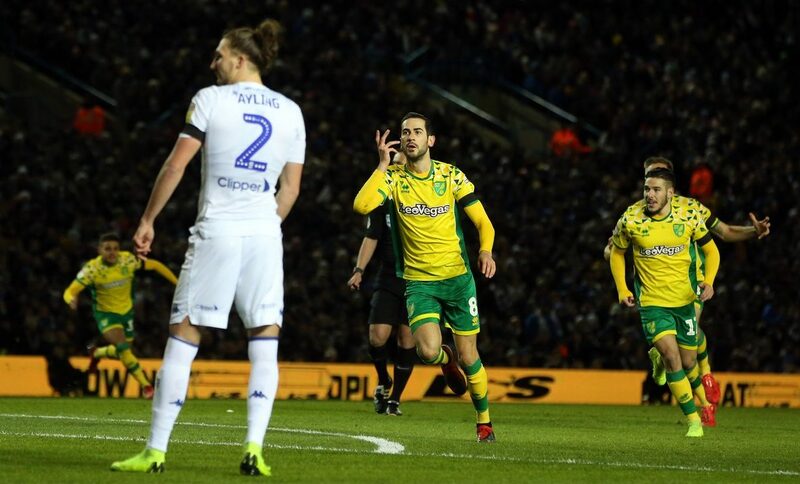 The Norwich game – by my Dad’s assessment – was Leeds being out-Leeds’d. “They were faster, picked up every second ball, prevented you from stringing passes together”. He’s right, too. But it’s this kind of performance anxiety (or weariness maybe) that’ll undo our promotion hopes. The EFL can’t harm us as effectively as we can (short of issuing a points deduction) because while they could ban an individual for a few games, only we could ensure that 8-9 players put in a 2/10 performance for a given crunch-match. We won’t win promotion by crumbling under the pressure of games like Norwich. For everyone saying that “they were simply better” I’m inclined to disagree. Sure, they won comfortably and I don’t deny the result was fair (as we were awful), but I wouldn’t have said Norwich were *that* great. Two deflected goals flattered the early exchanges and we struggled to meaningfully test Krul, but it wasn’t as one-sided as we’ve seen in other games this season (either for us, or for them). The game was winnable from a Leeds perspective, we just had to turn up and make a contest out of it. Our inability to do so (mixed with some “difficult” officiating, let’s say) is why the game ended with Norwich top of the table. The opportunity to put daylight between us and the playoffs flew by and it then compounds the pressure on subsequent games. The fixture against Boro now seems even more crucial – if results go our way we could add daylight again. Boro themselves are licking their wounds following a shambolic performance against Newport County midweek, so they’re keen to respond positively. A narrow victory over promotion rivals West Brom at the weekend highlights how competitive they can be, but Leeds have the chance to capitalise on some toxicity and get more points on the board. But the criticality of such a game is one that makes me worry about Leeds capitulating. After all, if you can’t motivate yourselves against your main rivals in front of a sell-out home crowd, it’s a worry. We think the enemy is the officiating bodies that hate us, whereas it has always been ourselves. To escape the EFL’s greedy clutches we need to exorcise our own demons and there are 16 games in which to do that.